On this day in history, May 26, 1780, the Battle of Saint Louis is won by defending Spanish and French citizens allied with the Americans during the American Revolution. Also called the Battle of Fort San Carlos, the attack by the British and their Indian allies was the last attempt by the British to control the Mississippi River during the Revolution. St. Louis was founded by a Frenchman, Pierre Laclede, in 1764, though other French villages had been founded in the area as early as the 1690s. After the French and Indian War, St. Louis and the surrounding territory was ceded to Spain and became part of Spanish Louisiana. Spain allied with the Americans against the British in 1779, putting Spanish territory into British sights. Missouri State Capitol shows Fort San Carlos. The British desired to control the Mississippi River and began planning an attack on St. Louis, which was the governing center of northern Louisiana. They sent the word among their Indian allies and promised them the rights to trap fur in Louisiana for their cooperation. A force of nearly 1,000 Sioux, Chippewa, Winnebago, Menominee and Sac and Fox warriors gathered at Prairie du Chien, in present day Wisconsin, under the command of Captain Emanuel Hesse. They began the trek south on May 2, 1780. In St. Louis, Spanish Lt. Gov. Fernando de Leyba began preparing the defenses of the city when he learned from traders that an attack against the city was coming. St. Louis was already enclosed with three large walls, with the Mississippi River itself as the fourth side. De Leyba made plans for four large towers to be built around the fort on which to place sharpshooters and cannons. Since there was little money, he asked the locals to give toward building the towers, which many did. 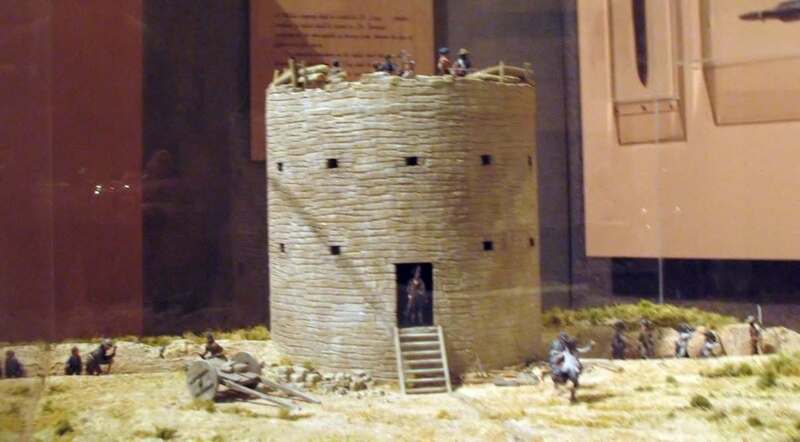 By mid-May, when word came that the Indians were near, only one tower was finished in front of the fort, which gave a wide view of the surrounding area. They called the tower Fort San Carlos and built trenches along the rest of the walls. Five cannons were placed atop the tower, along with more cannons along the trenches. 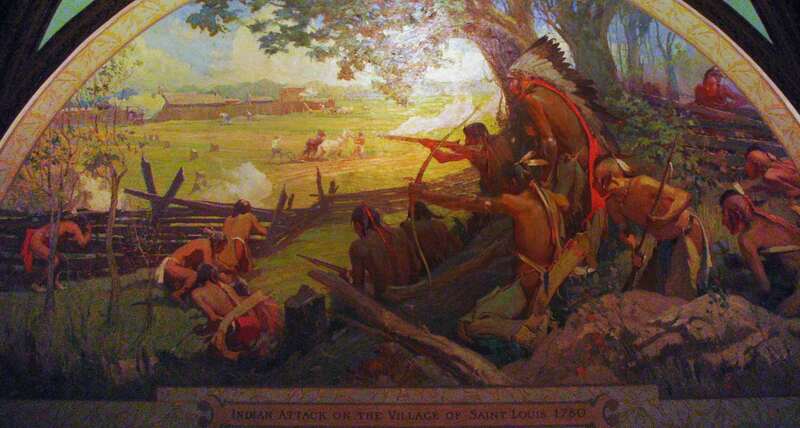 Hesse approached St. Louis on May 25th, but his scouts could not get near the fort because there were so many settlers around the area on their farms. The following day, Hesse sent 300 Indians to attack Cahokia on the American side and slightly downriver. Hesse took the rest of the force and attacked St. Louis in broad daylight, capturing several civilians in the process. The first wave of attackers consisted of many Sac and Fox who were repelled by the violent cannon fire, which so alarmed them that they refused to fight anymore. The other attackers continued their attempts to breach the defenses, but the cannon fire, especially, proved to be too strong and the attackers eventually withdrew and gave up. As the Indians withdrew, they were joined by the retreating attackers from Cahokia who had failed as well when they were repelled by forces under General George Rogers Clark. As the Indians retreated, they captured, tortured and killed numerous settlers who were out on their farms. Settlers would often build near forts where they would withdraw for protection from Indians, but it is not known why so many of the settlers around St. Louis had failed to seek refuge in the fort when they had so much advance warning. Somewhere between 50 and 100 settlers were killed in the battle, while the number of Indian casualties is unknown, but must have been quite high. The failed Battle of Saint Louis was the last attempt of the British to control the Mississippi River valley and St. Louis would never again come under attack from a foreign power.